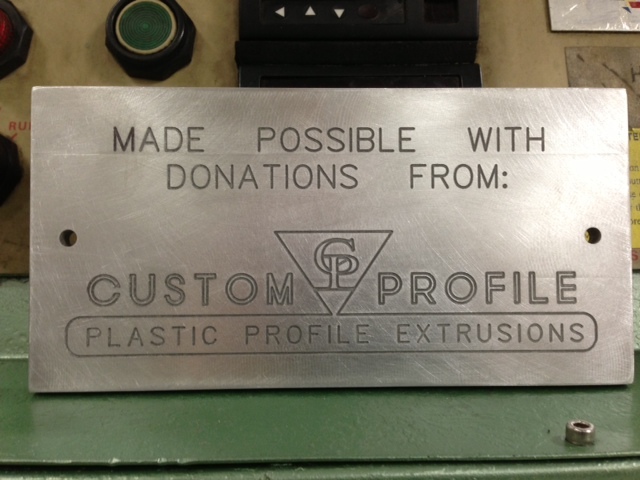 Custom Profile is continuing our charitable ways. We have recently donated a Puller/Cutter and Plastic Resin to Ferris State University’s Plastics Engineering Program. The Custom Profile Maintenance team did an outstanding job repairing, replacing broken parts, and cleaning up this piece of equipment to get it fully operational for the Ferris Plastics Lab use. Ferris State University can now provide to their Plastics students better hands on experience for the Profile Extrusion process.